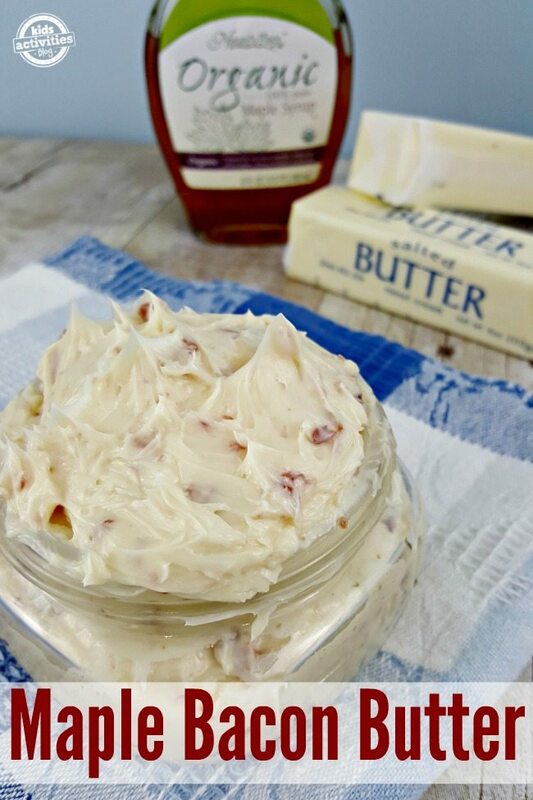 Make this Maple Bacon Compound Butter made in just minutes using left over bacon and pure maple syrup. 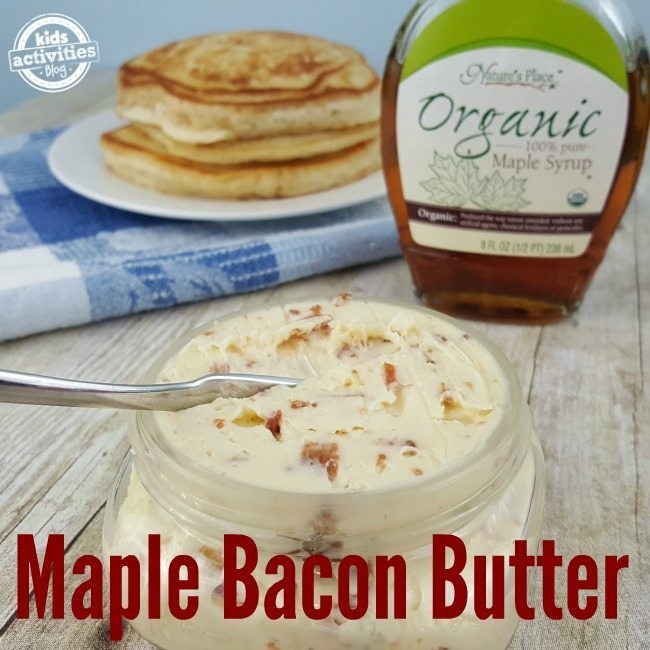 It’s such a decadent addition to breakfast and brunch! With Easter just around the corner, my mind turns to brunch. I love helping my family put together a big breakfast spread with lots of delicious dishes to choose from. 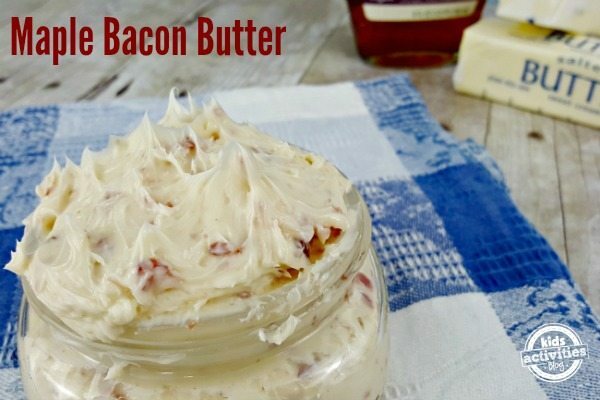 With just three simple ingredients, this Maple Bacon Compound Butter is so easy to make, and it’s very impressive. It’s a delicious way to dress up your brunch buffet. It’s something you might get at a gourmet restaurant, that you can make in your own kitchen! For the best taste, you need to use pure maple syrup. You can usually purchase it in the organic section at your regular grocery store. Here in New England, it’s just about maple season. I can’t wait to take my kiddos to a maple sugar shack to see how maple syrup is made. My dad grew up on a farm in Pennsylvania where they tapped the trees and hauled buckets of sap in the early Spring. He loved to teach my sisters and I about it when we were growing up. 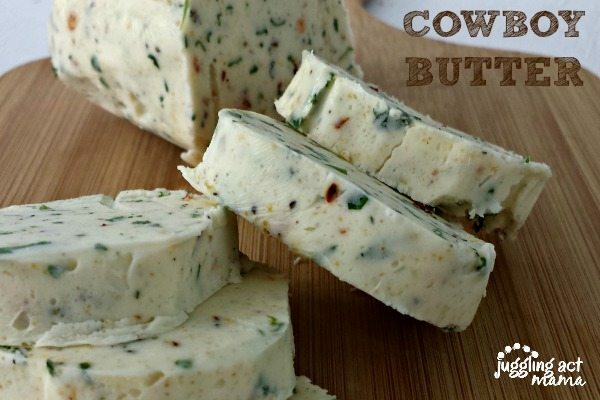 My Cowboy Butter is one of my most popular recipes off all time. If you like making your own flavored butters, you’ve got to give this a try! Mmm Maple Season! What a great idea to add a little sweetness to brunch! Seriously – so good right!? Alright, Ang! This is too good!!! I cannot wait to add this to my biscuit brunch lineup each weekend!! It is SO amazing! I hope you enjoy it as much as we do!